You may remember that earlier this year I found an old stash of bullet gemstones from my post-uni days. Well, I've finally made some jewellery with them. I had another go at some wax turning (so fun, so messy!) to make some little settings of different sizes to house the bullet gems. I think they kind of look like sci-fi ray gun bullets - I love them! 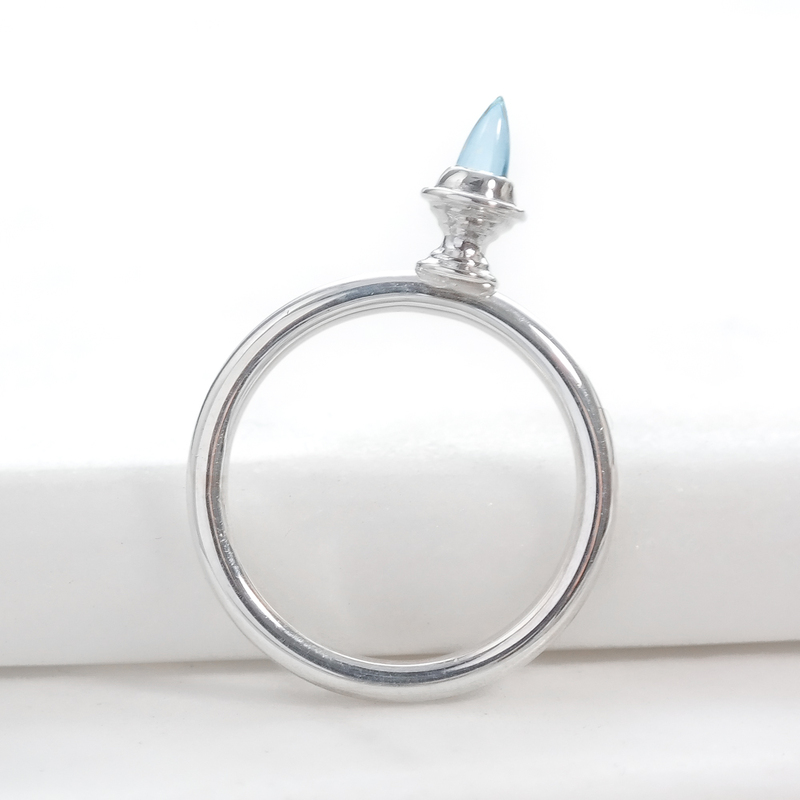 Then a ring with one of the tiny topaz gems. It's not the most practical of ring designs (very pointy!) but it does look cool. It was really fun to revisit and expand on some of the designs I did all those years ago and I think they've turned out really well. I am going to add them to my Stargazing collection, so keep an eye out for them.